Researchers have discovered a distinct link between meditation and how people who practice it respond to feedback. 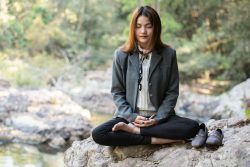 The University of Surrey conducted a study that has shown that meditation adapts the brain to respond better to feedback. The study included experienced, novice and non-meditators. All were trained to choose images associated with rewards with each pair of images containing varying probabilities of rewards. 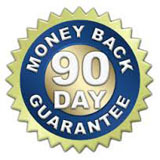 Some images resulted in a reward 80% of the time while others resulted in a reward just 20% of the time. Study participants eventually learned to choose the pairing that had the higher outcome. The participants who meditated were much more successful in choosing the high probability pairings which indicated a tendency to learn from positive outcomes. The non-meditators who learned the pattern via low probability pairings suggested a tendency to learn from negative outcomes. The study participants were connected to an EEG during the study. Results from the EEG showed that all three groups responded similarly to positive feedback. However, the neurological response to negative feedback was the highest in the non-meditation group which was followed by the novice group and lastly by the mediation group. The results indicate that the brains of meditators are less affected by negative feedback which may be attributed to the altered levels of dopamine resulting from meditation. Dopamine is integral to how we learn and process information. The current study indicates that meditation may be a way to affect the levels of dopamine in the brain and how humans deal with negative and positive feedback. Humans have been meditating for over 2000 years, however the neural mechanisms of meditation are still relatively unknown. The findings from the current study demonstrate that on a deep level people who meditate respond to feedback in a more even handed way that those who do not meditate. Meditation can improve immune function and reduce stress. With the current study, the researchers have found that it can also impact how we receive feedback…that is if we quickly learn from mistakes or if we need to keep making them before finding the right answer. This can impact how people perform in the classroom and workplace. To view the original scientific study click here: Meditation experience predicts negative reinforcement learning and is associated with attenuated FRN amplitude. Next articleWhich is Better for Bone Health…Nutrition or Exercise?